It was so cool to come back from vacation to a box of scarves! These beautiful scarves were sent in the mail. 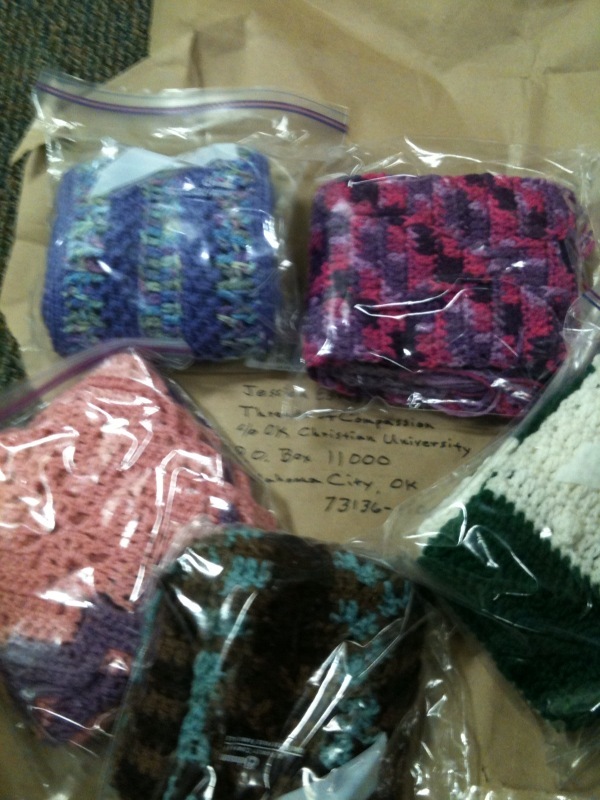 I think it’s great that we have so many ways for people to be involved with Threads of Compassion OKC. Some come to our monthly work days and get to meet others while working together, while others can work at home and just send the scarves. Still others are close enough that they stop by my office with scarves from time to time. This really is a project that has a lot of flexibility! I’m hopeful that we can continue to provide scarves throughout the summer, as the need continues to go on, even though our schedules may be changing a bit.